A real white whale, as it might be called. Really rare amp. But yet again another amp that’s called 400 but does not do 400W, oh well. 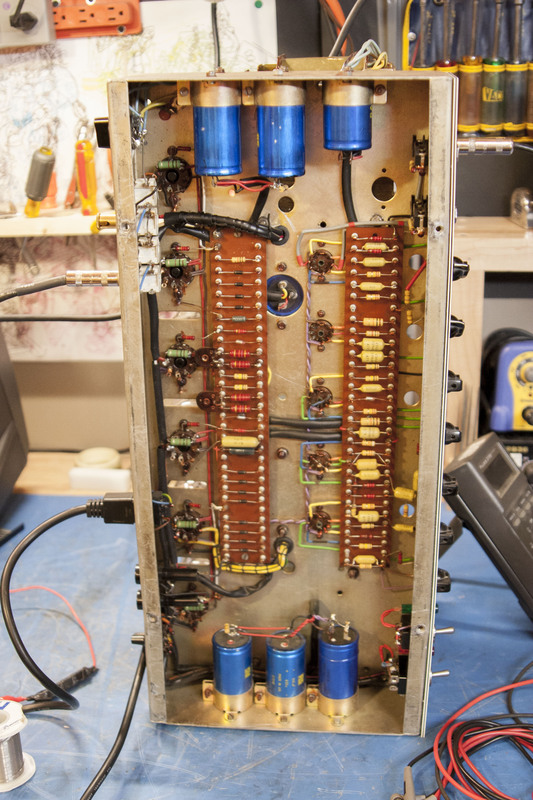 Has 6 6550s behind the metal panel that shields the preamp tubes from the power tubes. Has 4 speaker jacks so you can run a boat load of cabs if you feel like carrying them all around. This one came in because a power tube was physically broken and causing the amp to blow fuses. 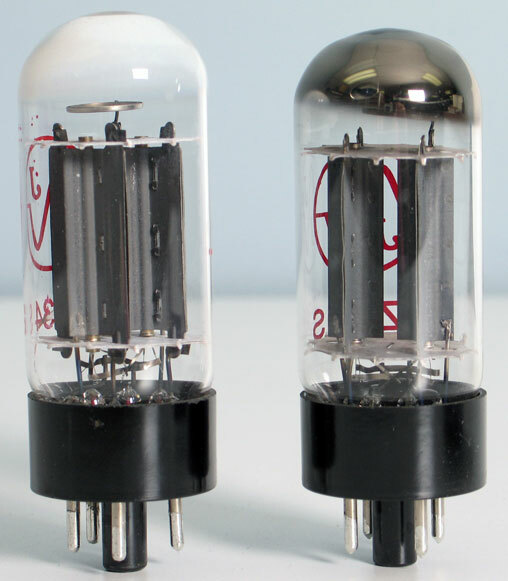 The silver getter material had turned white, meaning that there is a crack in the glass somewhere and the tube is no longer a vacuum tube because the vacuum has been lost. So it’s just a tube that no longer works. Once it was popped open I also noticed it had a mish mash of 1K and 1.5K screen grid resistors for power tubes so I replaced them all with some new 1K 5W resistors as the schematic suggested. Super neat and minimal build as you would expect. It has two bridge rectifiers like the SVT style so it can do a stacked (or whatever you would call it) power supply node that supplies plate voltage and screen voltage from same node. Screen voltage is roughly halved and is at a reasonable 410V and plate voltage is in the 730V range. This one did about 340W at clipping with its intense high voltage. SVT will do 280-300W with a ~660V plate voltage. 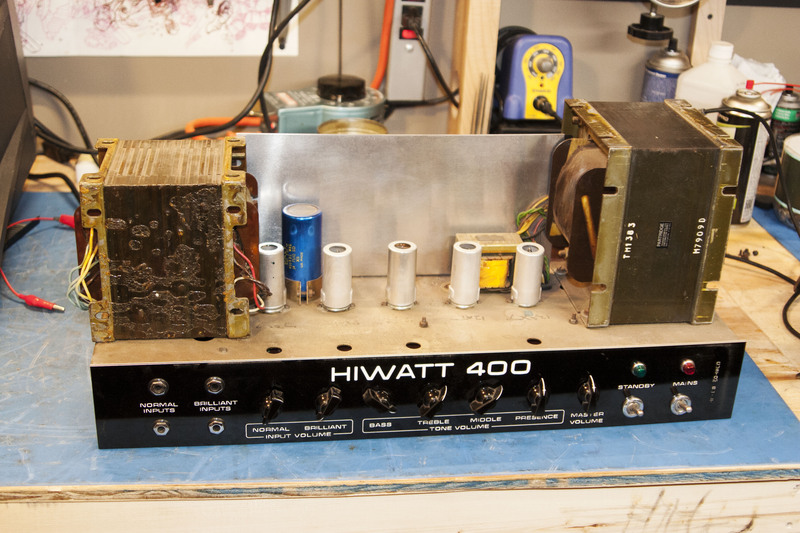 Fortunately there is a lot of info and schematics on these amps and many Hiwatts in general on Mark Huss’s Hiwatt page. I really recommend it if you would like to peruse.